Adults Jiu Jitsu class is suitable for all skill levels, classes focus on positional control and submissions. Training methods include but are not limited to; technique drills in which techniques are practiced against a non-resisting partner; positional drilling where only a certain technique or sets of techniques are used; and full sparring in which each opponent tries to submit their opponent using any legal technique. 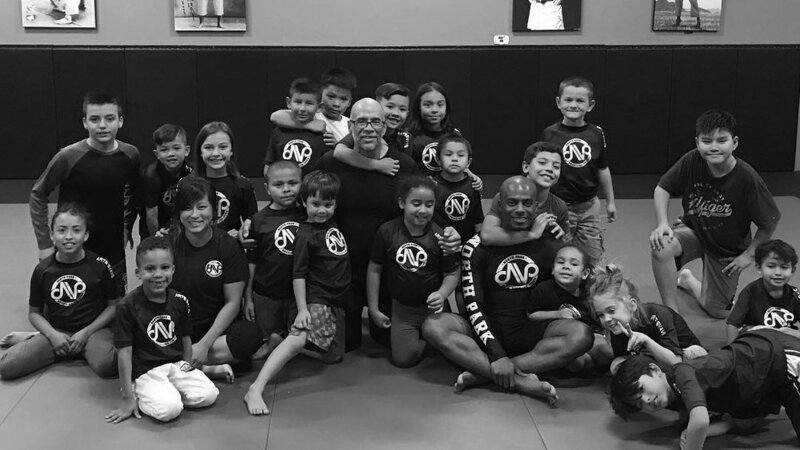 Gi and No - Gi classes available (see schedule). Kids Jiu Jitsu classes (5-12 years of age) are suitable for all skill levels. In a fun and comfortable environment, your child will learn the basic and fundamentals of jiu jitsu, along with discipline, self-confidence and help improve and develop physical and cognitive skills that can also transcend off the mats. A typical class may include dynamic drilling, movement / positional drills, technique of the week, sparring, and relevant games. Gi and No - Gi classes available (see schedule). Judo (5-12 years old) is a tremendous and dynamic combat sport that demands both physical prowess and great mental discipline. From a standing position, it involves techniques that allow you to lift and throw your opponents onto their backs. Kids Wrestling (5-12 years old) is a combat sport involving grappling type techniques such as clinch fighting, throws, takdowns, pins and other grappling holds. Open Mat is free and open to all academies regardless of affiliation. All ages and skill level.s are welcome Feel free to train in Gi or No Gi. Our goal is to bring the jiu jitsu community together. Whether it is to spar, drill movement, hang out or pass on knowledge our doors are open to you. Our only request is that everyone keep it friendly and nothing but good vibes during your visit. See you on the mats! Cannibal Combatives (ages 16 and older) is empty hand self defense instruction in a fun, relaxed, safe and controlled setting. Build confidence and practical technique to defend oneself from imminent threat when dealing with an aggressor. Our program will equip you with the necessary skill sets to amplify awareness, assertiveness, verbal confrontation skills, safety strategies and physical techniques that enable someone to successfully prevent, escape, resist and survive violent assaults. Cannibal Eskrima (ages 16 and older) is a martial art that emphasizes in weapon-based fighting with sticks, blades and improvised weapons. Although training starts with weapons, empty hand techniques, trapping and limb destruction are also core parts of these arts as the weapon is considered merely an extension of the body.